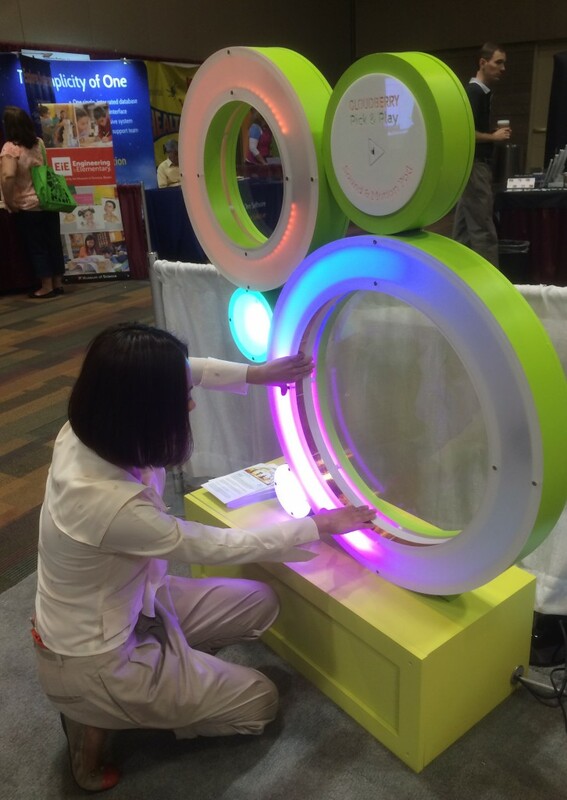 Last week at ACM, we shared a prototype of our latest pre-designed experience for toddlers. The concept of TodPods, exhibits designed specifically for a museum’s youngest learners, has been in development for a while. As we visited children’s museums around the country, we noticed a trend – toddler areas were often an afterthought. Usually relegated to an unused corner and sometimes non-existent, toddler exhibits needed a serious makeover! Our response to this concern is TodPods – experiences designed specifically for toddlers that will engage their senses as they explore a safe and fun environment. This year, we shared a prototype of our Sound and Motion pod at ACM MarketPlace. 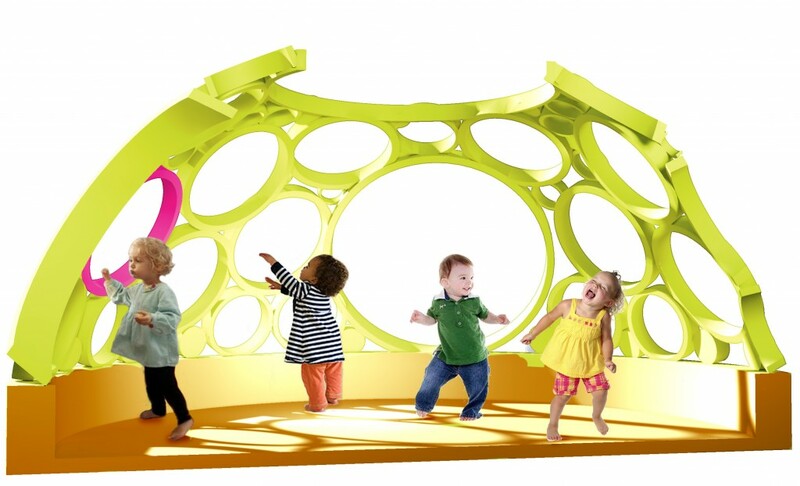 This pod features fully interactive sound rings that respond to a child’s touch with music and lights, allowing children to collaborate with each other and their caregivers to create their very own symphony. As we created unique sound packs for this experience, we met some amazing artists who were thrilled to be a part of this project. In 2014, we look forward to installing several of these units growing our library of sound packs as we meet new artists!